If everything goes well… - OFFSIDE ! The fact is, not many things went according to the plan. Itwas not us, but Afghanistan, that rode that ‘elite’ bus, becoming the next ODIteam. For there was no plan, on our side. So there was no following it. Promiseswere made. But the promises made were not translated into plans. But now, Cricket Nepal has a coach, who’s not just followedplayer’s manuals, but has gone through modern coach’s manual too. And a modernday coach plans and helps players execute them. It’s a regimen he has to livesthrough. It’s a talk that he has to walk. It’s a routine that he has to follow. Incidentally, Dassanayake’s plans coincide with the historicchange in Nepal’s cricket. 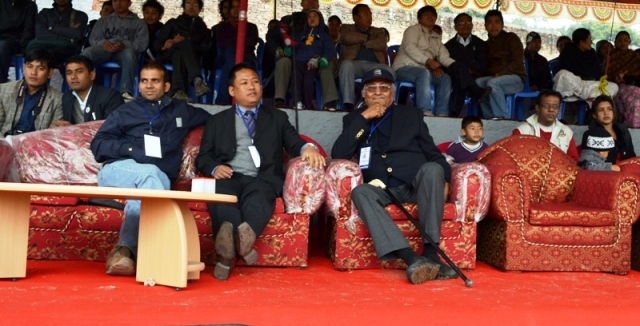 Historic change being the first ever election inCricket Association of Nepal. The historic change being a non-cricketer comingto lead cricket. To reuse the phrase, ‘If everything goes according to theplan’, Cricket Nepal will now be led by Tanka Angbuhang for four more years.President of CAN has already told media about ‘his’ plans, which he expects tocarry out during his tenure. And the plans include, National Cricket Academy aswell as development of cricket infrastructure across the country, among severalothers. These are noble plans, even if we were to say they’re not new. Oftrepeated, they’ve just not been put into proper implementation. The point here would not be contesting the plans, but themanner in which the first ever election at CAN happened. If you ask PawanAgrawal, the Presidential candidate who withdrew at the last moment, he’d tellyou, “I withdrew, but I would continue working for cricket.” He mightalso tell you, the cricketers will get a chance to lead CAN, when the nextelection comes, or if the present committee fails. But the insiders will tell you, what kind of people went toconvince Agrawal to withdraw his candidacy. How some other big names weresidelined, prior to the election. Here, we would not even go to the extent oftalking about the venue chosen for election. Some would see a plan there, but that’snot the point. Despite the start, which obviously has not send goodsignals, Angbuhang has some credentials that can help. At 30 odd years, he’syoung and comes from a regimented background not much different from modern daycricketer’s drills. He’s got an organization that could back him to the core.Not having cricketing background could also help at times, as he would be freeof bias that comes from representing certain regions. He has plans, he says, which obviously is a good start. Butthen, he has to realize, not everything goes according to the plan. If everything went according to the plan, Sachin Tendulkarwould have become a decent medium pacer (Given his height and the fact that, atyoung age, he registered himself to a fast bowling academy). And if everything went according to plan, Angbuhang wouldhave become Sports Minister and not CAN President (Given the background he has). About Dassanayake’s plans? Well, we’d definitely know in 3months whether they work or not! Pingback: Cricket on a sticky wicket? | Nepalical Confessions!